From time to time, actually quite a lot of times, I will order and read my writer friend's books. I am sure glad I read these. I am in love with them and my kudos go out to the author, Elizabeth Monroe. 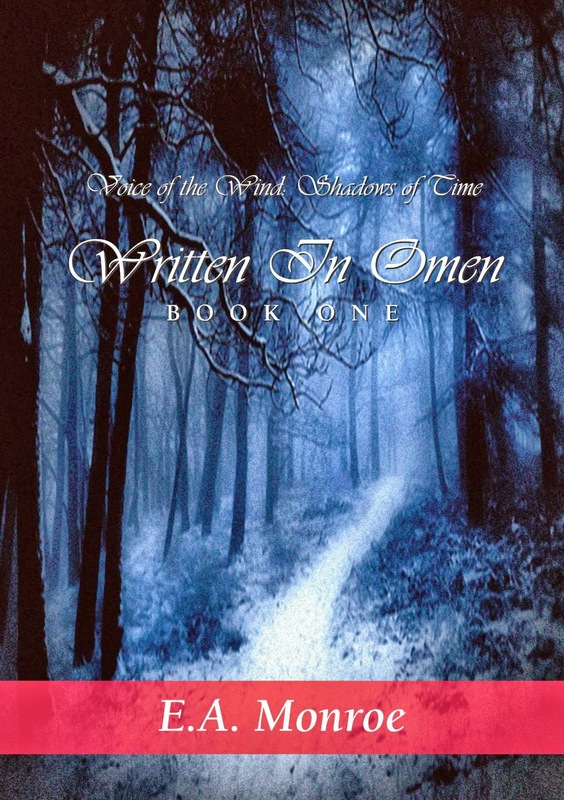 The series, Voice of the Wind, Shadows of Time, is absolutely wonderful. 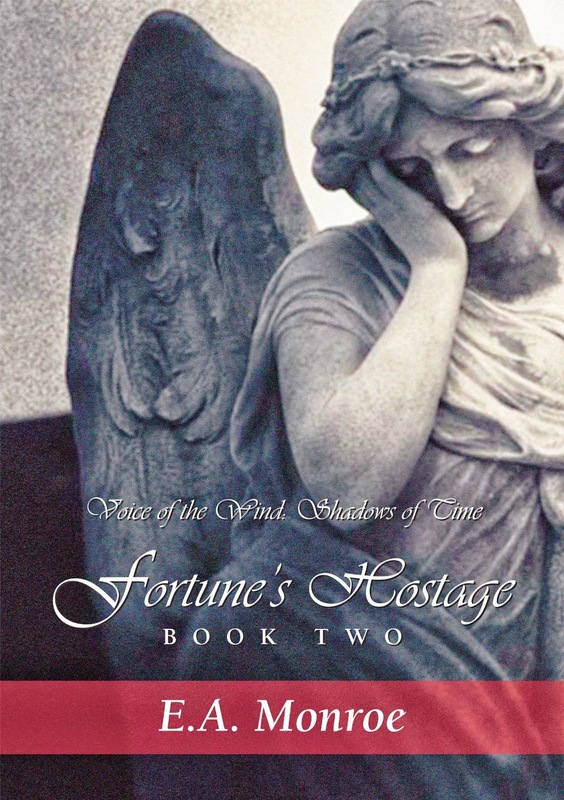 I have read the first two books in the series, Written in Omen, and Fortune's Hostage, and I'm already bugging her as to when the third book will be out. She said, hopefully the beginning of the year. I'm keeping her to it! Just kidding, I know how hard it is to stay the course sometimes, but I am so looking forward to it! Yes, this is a review of the series, but I don't like to give away a story, so I will try to watch that. The story's setting is around the 1800's. The main character's Jantz and his twin Jarutia, live a rich, comfortable life in the mountains of El Nath. 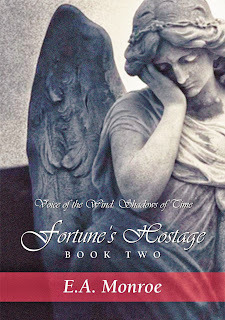 Their lives are bound to superstitions, and a belief there is a curse on their family. The people in the area all believe that a certain family, the Drakes' are magical and dangerous and there is prejudice abound against these people. The twins befriend one of the Drakes, Doriano, and the twins oldest brother, Martin, who is stiff and controlling, tries to pull the twins away from him and continues his push for the town and the family to be against Doriano. Needless to say, it creates tension, chaos, separation, and even death. These books are worth the read, if not for anything, but the author's wonderful descriptions and richness in the characters. She really brings the world to life and pulls you in as a reader. I love the way she describes the land, you really can see it! You will fall in love with the characters and find yourself hoping and wishing for them. And you will hate the antagonist, Martin, and want to put a bullet between his eyes. To me, there is nothing better than to curl up and read this kind of book. One that creates a believable world with rich, lively characters and takes you into the story. I give them both 5 stars. I hope you give them a read, and if you do let me know! I also plan to have Elizabeth as a guest here on my blog Oct. 25th so you will get a chance to leave a comment and hear back from her. I hope you join us on that day! In the mean time, have a great weekend all, and I will see you on the flip side. Thank you, Lisa, from the bottom of my heart for all your support and encouragement. I love the review and your taking the time to do it and to read the books! It's an honor and a pleasure. I hope to do the same for you. Now I better get busy working on Book 3! Any time! I loved your books and look forward to the next one! You deserve to have your name out there so people will read your wonderful story! What an unselfish person you are. I salute you! Blessings. Thanks Johnny, and so are you my friend!